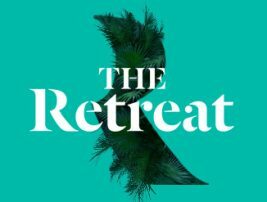 The Retreat is Sydney’s newest resort-style master planned community. Come home to relaxed and tranquil living environments with spectacular views over Sydney Olympic Park across to the dramatic Sydney CBD skyline. You’ll love the diverse choice of oversized layouts in single, split level and loft-style designs. All are beautifully finished with Meriton’s signature high quality inclusions and designed with the discerning home owner in mind. Just 650m to Olympic Park Train Station and on the doorstep of the proposed Stage 2 Parramatta Light Rail, The Retreat is destined to be an iconic community offering impressive returns for both investors and owners occupiers alike. The NSW Governments’ Carter Street Precinct Development Control Plan will see the transformation of this precinct into a premier commercial and residential district with Meriton’s The Retreat at the heart. The Carter Street precinct will see the creation of a walkable urban community comprising a vibrant main street at Uhrig Road with generous footpaths for outdoor café seating, a 12,000sqm village square and high quality landscaping. Master Plan 2030 will make Sydney Olympic Park not only a premium destination for major events, recreational and entertainment activities, but also a world-class centre with 6,000 new dwellings, up to 14,000 new residents and 31,500 jobs. For over 50 years, Meriton has become Australia’s largest and most reputable developer, building over 75,000 apartments with a 100% completion record across Sydney, Brisbane and the Gold Coast. Meriton apartments are synonymous with quality and luxury. Uniquely designed by industry acclaimed architects and built by our highly skilled and experienced construction teams. We pride ourselves on the highest levels of workmanship to bring you award winning developments. Meriton offers a complete and tailored apartment solution, helping you buy, manage, rent and sell. We’re with you all the way.